As the speed of business accelerates, organizations are producing vast volumes of high velocity data in a variety of formats. Previously, organizations have captured, stored, and then attempted to extract insights from data warehouses, after-the-fact. They are now beginning to realize the benefits of being able to continuously analyze data as it is captured, in real-time, and take immediate action. From improving their customers’ experience to better 1-to-1 marketing to preventing fraud – the benefits abound. The challenge is that few organizations have the tools to analyze and immediately act on streaming data. How does it compare with Hadoop, BI, and other Big Data analytics solutions? 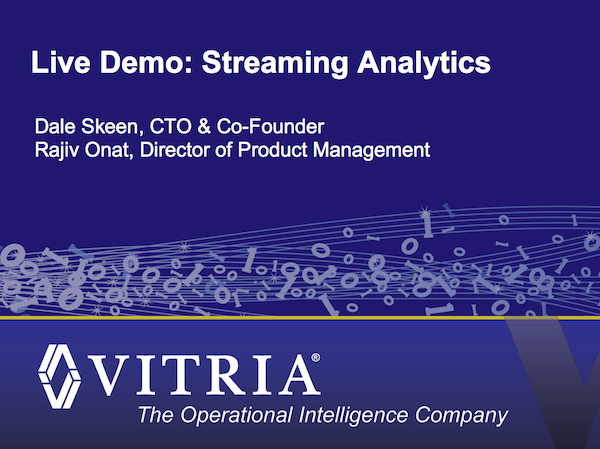 What kinds of business problems are best addressed with streaming analytics?